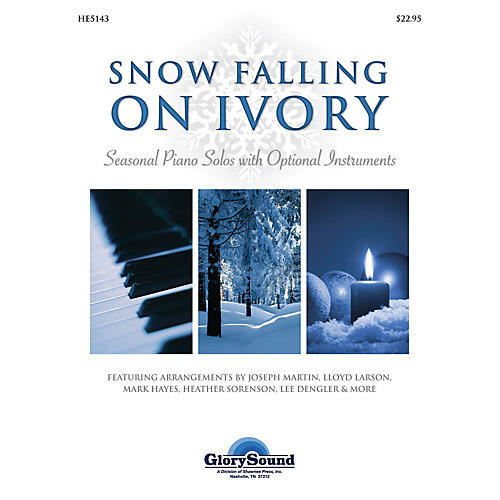 Featuring arrangements by Joseph M. Martin, Lloyd Larson, Mark Hayes, Heather Sorenson & more This volume of beloved Christmas carols is a two-in-one sensation. Pianists may play the arrangements as piano solos or perform them in tandem with the optional instrumental descants for something truly special. This unique format doubles your peformance options and makes this compilation an excellent value. From tender carols of reflections to sparkling songs of joy, this collection has something for everybody. Includes: Away in a Manger · Dance at the Manger · Ding Dong Merrily on High · Gesu Bambino · Go, Tell It on the Mountain · He Shall Feed this Flock with My Shepherd Will Supply My Need · In the Bleak Mid-Winter · Infant Holy with He Is Born · It Came Upon a Midnight Clear · Let All Mortal Flesh Keep Silence · Three Carols of Comfort and Joy · Wexford Carol.